On December 1st, Eye Level students from around NJ came together to assemble winter care packages for the homeless. Each care package contained a hat, gloves, scarf, socks, hard warmers, water, granola bar, and a sandwich. We are so proud of each and every child that attended and gave their time and effort for a great cause! This is a prime example of how the Eye Level program builds values and prepares students for the classroom and beyond. 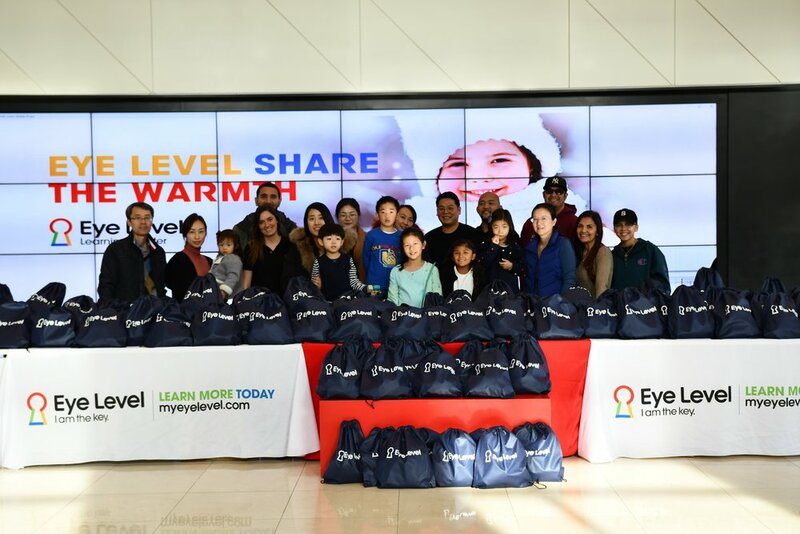 In an effort to give back to the community, this year Eye Level partnered with Smile, a local food pantry in NJ to provide essentials to struggling families in time for Thanksgiving. Both Eye level headquarters and local Eye Level centers participated in the collection. Thanks to the efforts of the collective Eye Level family, nearly 100 lbs of food was donated to the Smile pantry along with diapers for families with babies. We are very proud of each student that donated and commend them for willingness to give back to the community!